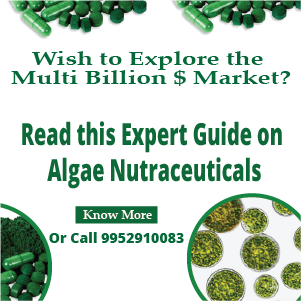 High oil species of microalgae cultured in growth optimized conditions of photobioreactors have the potential to yield 5,000 – 15,000 gallons of microalgal oil per acre per year. As with any biological lipid, this is a potential feedstock for making the renewable fuel biodiesel. Photobioreactors have the ability to produce algae while performing beneficial tasks, such as scrubbing power plant flue gases or removing nutrients from wastewater. 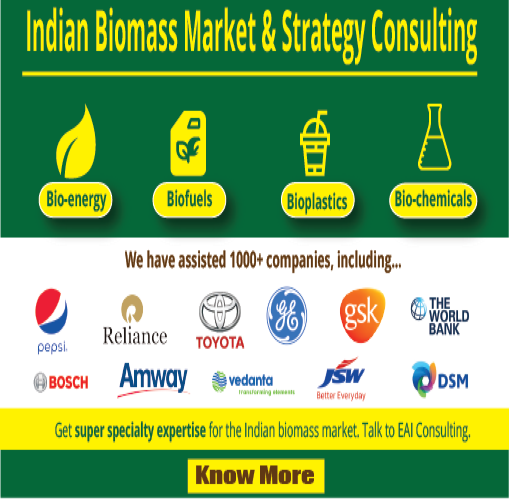 By coupling algae production with a waste treatment or pollution control process, as is already being done by some companies, the economic viability of microalgal biodiesel is significantly improved. In using microalgal oil to make biodiesel, the extraction of oil from cells is an important but costly step, which often involves toxic solvents. The method of Bligh & Dyer (1959) is a laboratory-scale technique which uses polar and non-polar solvents to extract the corresponding lipid fractions from cells. The drawbacks of using solvent extraction are that it requires extra energy input to recover the solvents, and it has the potential to contaminate the algae solids, thereby restricting options for their end use. The goal of this research is to improve the process economics of producing biodiesel from microalgal oil by making oil extraction simpler and less expensive. This is proposed by relying on only physical oil extraction, or by combining extraction with in-situ transesterification. The project will utilize six strains of high-oil algae already acquired from the SERI-NREL microalgae culture collection at the University of Hawaii. These include two Nannochloropsis sp. strains, Dunaliella tertiolecta, Dunaliella salina, Chlorella salina, and Chlorella sp. These will be screened to determine the species producing the most oil under both nitrogen sufficient and nitrogen limiting conditions. The specific growth conditions are not the focus of this project, and the purpose of screening is to ensure that a reasonable amount of oil be available for extraction (20-50% of the dry mass). Screening for the relative oil contents will be done with a Varian SF330 Spectrofluorometer by the method of Cooksey et. al. (1987) on cell cultures that have been diluted to equal concentrations, as checked with a Bausch & Lomb Spectronic 20 Spectrophotometer. Solvent extraction will be examined by separating algae samples from solution by vacuum filtration with a Buchner funnel and cellulose fiber filters and then dried. Dried samples will be treated using the two-solvent oil extraction technique of Bligh & Dyer (1959) and the improved method developed by Ennsani (1990). The lipid fractions yielded by these methods will be considered the base-line oil content of the cells, which the other extraction techniques will be compared to. To examine alternative extraction techniques, algae samples in their aqueous growth medium will be homogenized with a Sonicel 100 ultrasonic cell disrupter and centrifuged to determine if oil separation will take place without solvent. In-situ transesterification will be examined by adding dried algae samples to a methanol/potassium hydroxide solution and then ultrasonicating them. These will sit to allow the transesterification reaction time to take place, and then be centrifuged to separate the biodiesel from the excess methanol, cell solids, and the byproduct glycerin. After separation, analysis with a Hewlett-Packard Gas Chromatograph Model HP 5890 equipped with a Flame Ionization Detector will be used to determine total and free glycerine. This will be a way to assess if biodiesel has been made. Biodiesel yield from the in-situ transesterification method will be compared to those from the solvent extraction and the ultrasonic disruption/centrifugal extraction techniques. 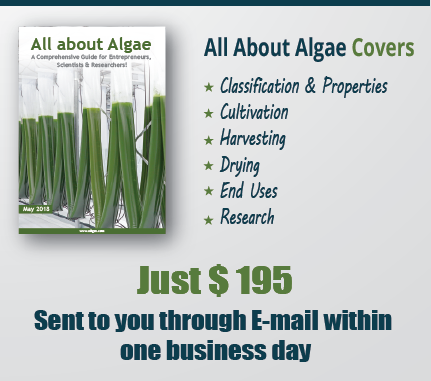 Oilgae Academic Edition showcases case studies on algae research efforts in respective areas such as waste water treatment, CO2 sequestration and power plants. I think the fermentation idea is a good one because it seems that we should try to find the simplest and most cost effective methods, and also try to keep away from the solvent methods which rely on toxic chemicals. Fermentation before oil extraction would be simple and would not require the energy intensive drying process. I like the idea of using a multi step process that would extract ethanol, then oil, then would retain the rest as a high protein supplement or feed. Keep the hexane out of the process so we have fewer toxic chemicals involved. Unfortunately I am not one of those brighter minds that you seek that could actually prove this hypothesis. If anyone knows one of these brighter mind folk, ask them if anyone has thought about using microwaves to break down the cellular walls to extract the oil. I read about some guy that is extracting oil from all kinds of trash. Each different type of trash takes a different frequency of microwave to break it down. I wonder if you can find the correct microwave frequency if part of the process would be cheaper or cost effective? fermentation is for processing sugars and starches,into ethanol..not algae oil,what this paper is about…transesterification is for processing biodiesel from the algae oil.which requires methanol. Maybe this is a very unbright idea but how about just heating the "alggae soup" and wait for the oil to float to the top?